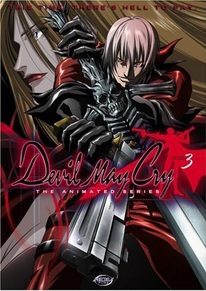 Based on the popular video game series, DEVIL MAY CRY 3 delves further into the back story. Blending adventure, anime, and action, this release trails the half-demons Dante and Vergil--whose father is the demon Sparda--as they battle against malicious forces. Their adventures reveal the story seen in the game itself.